Ebony is of a deep black color, and highly prized for several purposes, particularly inlaying. It is exceedingly hard, heavy, and durable, but expensive. 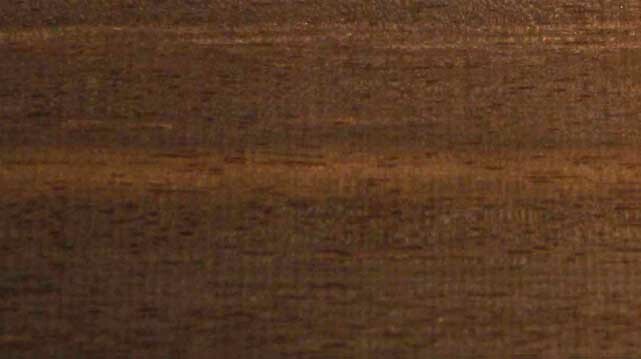 Pear and other woods dyed black are often substituted for it ; but are not so susceptible of good polish and luster, or so permanent in color. The best comes from Africa ; a kind variegated with brown is brought from Mauritius and Ceylon. 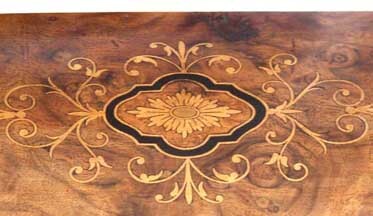 Veneer: Ebony was one of the first woods to be used as a veneer. In France, ebony, the only wood heavier than water gave its name to the craftsmen who used it - the "ébénistes" or cabinetmakers. Sawn by hand, the sheets of wood differed in thickness by more than one millimeter. Cut using a reciprocating power saw, their thickness varies by no more than 5 to 8 tenths of a millimeter and today by less than one tenth. 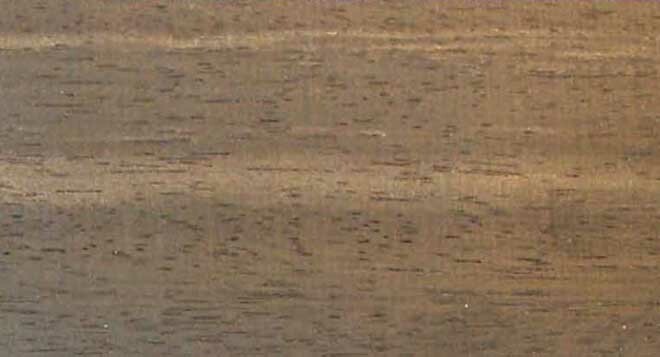 See ebonizing, a technique which attempts to make a piece of plain timber appear to be ebony. Inventory for string inlays - Kittinger Furniture Co.
Boxwood/ebony/boxwood inventory for string inlays - Kittinger Furniture Co.
Special thanks to Arthur Werner for his assistance.